Just because Martha’s Finding the New You devotional series has now concluded doesn’t mean that your adventure has to end! Whether it’s discovering something deeper about the miraculous new creation or encountering the machinations of the flesh in a new way, each day holds a way of finding the new you. One of the issues essential to putting off the old is uncovering the motive behind putting on the old in the first place. God is after the ‘why’ that powered the ‘what’ and Martha’s audio teaching, The Big Why, cuts to the root. For more insight into the pull of the flesh, you should also listen to Rival for the Throne. Sometimes knowing how the enemy will attack you helps to better defend against against the daily onslaught. Of course, no adventure is complete without a powerful revelation of how perfectly God provisions us in the new creation, and The Perfect Solution contains just that. We know so little about the riches available to us, and the Holy Spirit wants to show us all of them! May God bless each of you in the wondrous adventure of finding the new you that each day with Him brings! NOTE: We’re offering a 25% discount on each individual teaching mentioned above, both mp3 download and CD format. 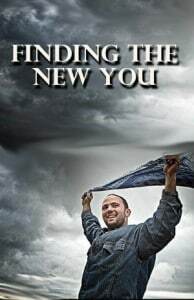 When checking out at LivingChristianBooks.com, just enter the coupon code FINDNEWYOU. Enjoy!